Whether you are talking about gold and precious gems or simply costume jewelry, it can be expensive. 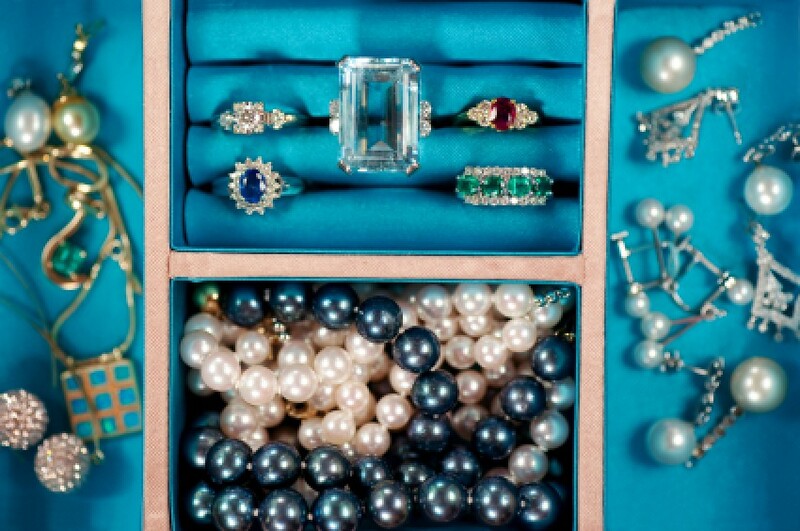 Share your tips on finding the best deals to fill your jewelry box. This is a guide for saving money on jewelry. You can make fun and inexpensive earrings out of buttons. You'll need a pair of cute buttons that attach to clothing with a shank, rather than flat buttons with 2-4 holes. Use wire cutters to remove the shank. File down any nubs left with a dremel tool if you have one, or an emery board. You can purchase earring posts and backs cheaply at your local hobby store. Superglue earring posts to the backs of the buttons. Let them dry, and enjoy your new earrings! 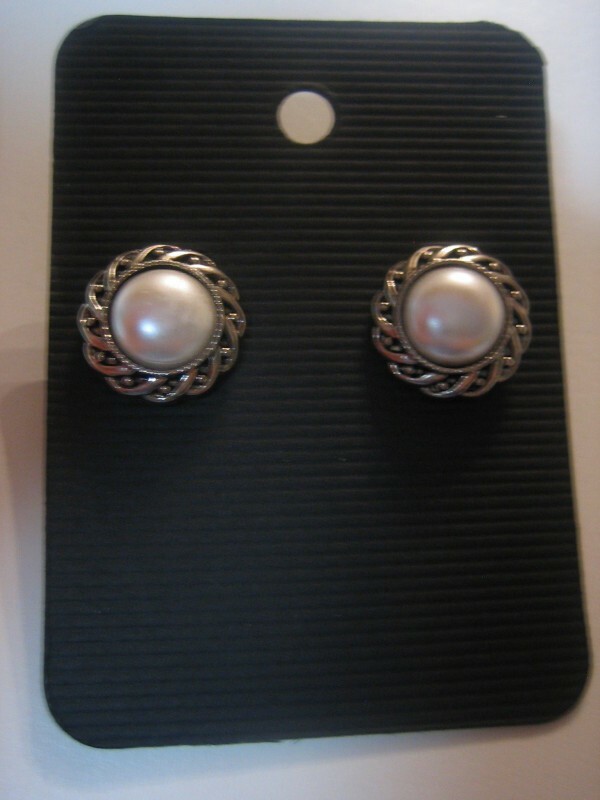 Try consignment shops, pawn shops, and the local thrift shops and Dollar Stores for inexpensive jewelry. I have a pre-teen and these are the cheapest places that I go. Use an inexpensive ribbon (for example the 50-cent or 99-cent ribbon at a craft store) instead of a chain with your favorite pendant. This is best for costume jewelry or high-quality inexpensive jewelry, not fine jewelry, but it adds a special touch to any outfit. Even dressy outfits will go well with a ribbon necklace. An added benefit is that you can trim the ribbon to fit the size you want: if you want a choker, trim it to fit just around your neck; or if you want it to hang below your neckline, cut a longer length of ribbon. You can also pick any ribbon that coordinates with your outfit. The possibilities are endless. You can re-surface/spiff up costume jewelry using colored nail polish. I just touched up the worn gilding on a vintage pendant using gold-colored polish. If your skin is turning greenish-black from the metal of a watch, you can protect your skin from it by painting the backside of the watch with clear nail polish or cut corn pads to fit the size of the back and stick them on. When most people think of gems they think of diamonds and other precious ones, but there are lovely semi-precious stones that are lovely and very affordable. Picked up a bargain cocktail ring at H and M, but it was a bit too shiny. I added some interest by putting on some blackish glittery nail polish on the work around the stone. Now it look likes marcasite and a much more expensive ring! I've found great deals on real jewelry like Seiko Watches for $1.99, only needed a battery. I've also bought pretty jewelry (not real gems) at the $1 store. It came with a necklace and earrings. I have used fingernail polish to paint earrings. If you want to paint them gold though, I would seal first with clear nail polish and then try spraying again. Actually, you could spray paint first then seal with either clear polish or spray sealer. Check with the local hardware store to see which paint and sealer is the best for the type of material your earrings are made of. Gold nail polish,even the glittery kind,then seal with a coat of clear. I went to a local craft store for that same reason, hoping they'd have some gold touch-up paint for jewelry. They didn't. But I went down another aisle and found "liquid leaf" paint which is a liquid version of "gold leaf" used in crafts. It works great and without any sealant. A few days after painting I dipped it in my jar of jewelry cleaner and no change! The only drawback is that it's not a real brilliant shine, it's more like a "brushed" gold finish but not real dull either. Jewelry can be quite expensive to buy new. 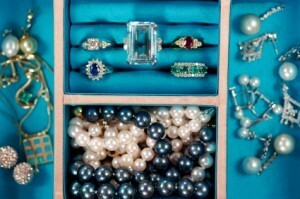 Searching for vintage jewelry at thrift stores and resale shops may lead you to finding a lovely piece for much less. Minor repairs can often bring it back to like new appearance. 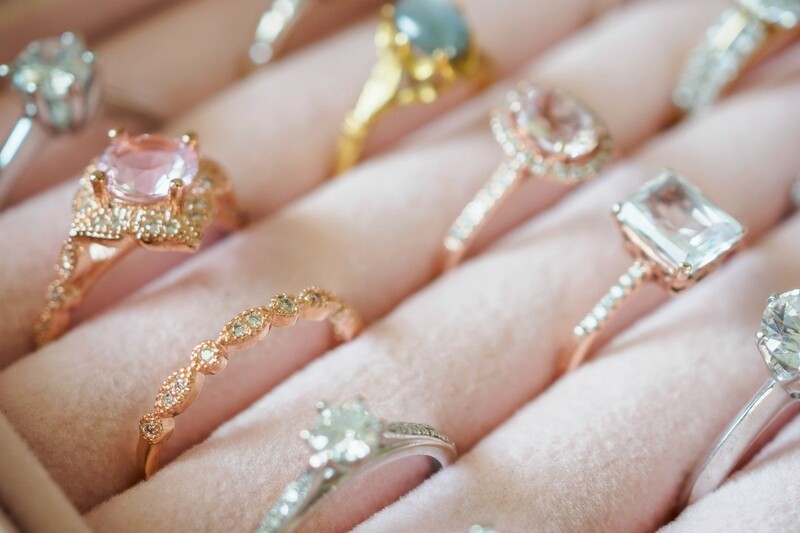 This is a guide about buying vintage jewelry instead of new.